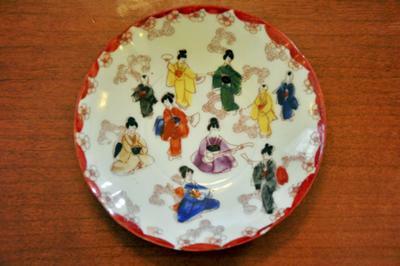 Japanese or Chinese Cup and Saucer bought for 6d. 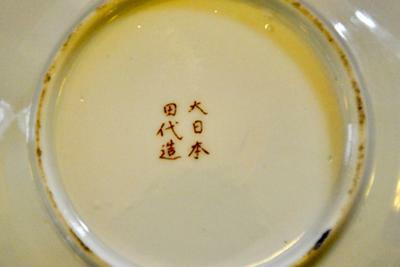 I bought this small Chinese cup and saucer as a child, in a jumble sale for 6d. I have always loved it although it is very crude. The cup is a pretty shape – slightly formed like a four petalled flower. Although, the decoration does appear crudely done. 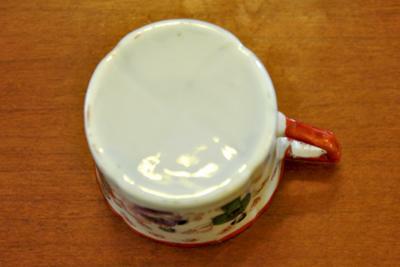 I have no idea about the marks on the bottom of the Chinese cup and saucer but would love to know something about them. There are no marks on the bottom of the cup. I have already had a reply to say it is in fact Japanese and not Chinese. I have no idea of it’s value at all. I’d be interested to know which part of the country you are in though. I got mine in Eastry in Kent when I was a child. 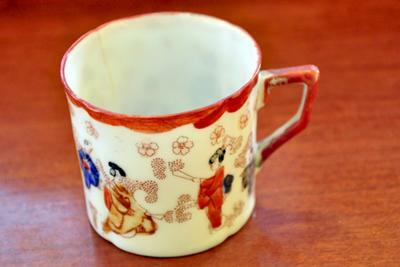 I have one of these Chinese cup and saucers given to me by my husbands late grandmother is it valuable?